Increase your power as a change agent with the strategic tools and knowledge to build a better world. Whether your goal is to bring positive change to your local community or to advance a cause you feel passionate about, our Master of Public Administration (MPA) program provides the essential leadership and analytical skills you’ll need to realize your vision. The graduate degree in public administration is specifically designed for professionals who want to boost their influence and effectiveness to drive change in the public sector and nonprofit arenas. Through rigorous learning and real-world experiences, you will develop the skill to manage operational issues, craft policy positions, communicate your vision, navigate organizational challenges, and mediate politically sensitive situations. Our flexible program with evening and online courses makes it possible for professionals with demanding careers and busy personal lives to pursue their educational goals. Build key competencies in leadership, policy development and analysis, nonprofit management, educational leadership, and healthcare administration. Gain hands-on experience in the core areas of public administration and nonprofit management with authentic, real-world challenges. Pursue your master’s in public administration on your terms—online, on campus, or a hybrid of both—with affordable tuition. Chris Rutigliano, a City of Worcester employee, said he would never go back to school, but as a Master of Public Administration student at Clark University he has proven himself wrong. He enjoys working with his classmates and has realized that it is easy for him to engage and do the work — one class at a time. One of the neat things about going to Clark is, it is a diverse group of people and it was great working with people from different cultures. Because I enjoyed these classes so much, it made it a lot easier for me to get engaged and to do work. 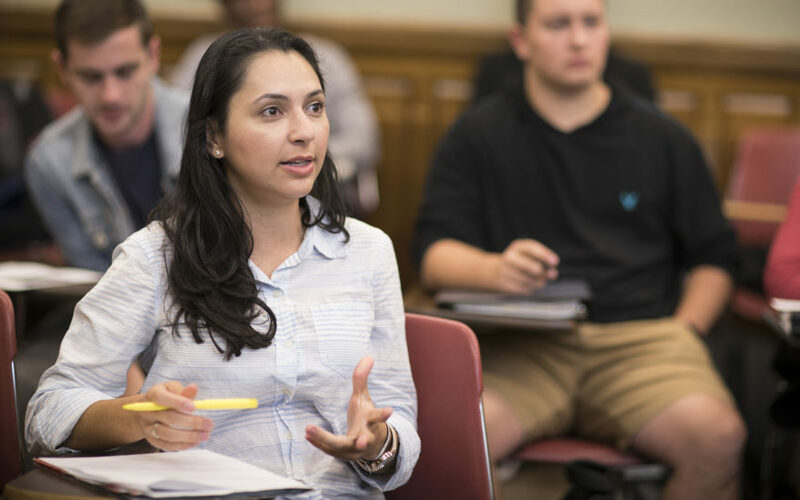 Clark’s Master of Public Administration equips students with a solid academic foundation and training in research methods, public management, public affairs, nonprofit leadership, marketing, and management. 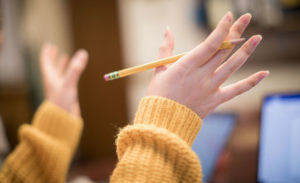 You can choose to focus your studies in specialized areas such as nonprofit management, public administration leadership, educational leadership, or health care administration. Start dates for the MPA program are January, June, or September. Students have the flexibility in determining the sequence of their courses and the pace at which they want to complete their degree. Each course is taught be a professor of practice – a leading expert in his/her field. Up to two course waivers may be possible, enabling you to complete your degree more quickly and cost effectively. *Applies to the Worcester campus location only. We pride ourselves on diversity and internationalism, and our classrooms contain a rich mix of career-minded professionals from around the world with at least three to five years of work experience. Within Clark’s liberal arts environment, you can build a personalized educational program that’s right for you. Faculty members work closely with you to identify goals that will help you advance your service organization, your career – and your ideals. Take part in team projects and solve real-world problems over the course of the semester. Attend guest lectures on career development by invited speakers. Present research at the Northeast Conference on Public Administration. Participate in the statewide Pubic Policy and Administration capstone competition. The Capstone project is intended to be a culminating experience calling upon your ability to analyze an organization’s issues and apply the competencies you developed through your course work in your MPA program. The project deliverable is a demonstration of your professional competencies and evidence of your foundation of knowledge applied to “real-world” issues. Through the process of close collaboration with an external client/internal client, you will probe and address issues within an organization using analytical, research, writing, and other professional skills acquired during your course of study. The job market for skilled public administrators and civil servants in the United States is expanding, creating many opportunities for a new generation of skilled professionals. Through Clark’s MPA program, you learn strategies to address the complex issues in public administration, and successfully implementing solutions at your current job, as an intern, or as a student-consultant for a company. Professor Wong studies environmental issues, community engagement, and public health. She served as mayor of Fitchburg from 2008 to 2015. Professor Smieszek studies the geographical informational analysis of water resources and urban environment at the federal and state level. Professor O’Brien specializes in public policy, issue advocacy, and politics. He served as mayor of Worcester from 2010 to 2012. Professor Morgado works on the efficient and effective implementation of municipal programs, policies, and services. Professor Manos studies business law and public policy and the intersection of business and professional development. Professor Kassel specializes in public policy, public sector project management, and communications. Professor Jordan researches global and community health and nonprofit management. Professor Lange specializes in fundraising, nonprofit management, research and evaluation, leadership, strategic planning, board development, and communications. Professor Jordan studies health and human services management, and social entrepreneurship. Professor Hofstetter studies organizational and employee performance and specializes in coaching, advising, and training. He is the founder and chief strategist of The Hofstetter Group. Professor Early specializes in civil and criminal litigation, prevention of crime, and the opioid crisis. Dr. Denmark researches leadership and criminal justice reform, effective institutional change, and comparative criminal justice. Chris Brumby ‘14, Deputy Director of Coordinated Care at MassHealth, dedicates his research to health care policy and administration, design of health care finance and delivery systems, and business management. Dr. Boehme studies institutional risk, political development and citizenship in the United States, and labor relations and negotiations. Professor Piecewicz studies ethical issues in the workplace with a focus on corporate social responsibility.